The most important benefit of a moissanite is that it is extremely cost effective. For example, a nice quality 2 or 3 carat diamond can cost you tens of thousands. A moissanite 2-3 carat equivalent will be in the $1000-$2000 range depending on the quality of the stone. For those that don’t want to spend thousands of dollars on a ring, moissanite makes a great choice because you can set the stone in one our custom Lauren B settings which will really bring it to life. Forever Classic- This would be consider the least expensive of all the moissanite options. The Forever Classic color is likened to a GIA certified K color which is at the top of the “faint” range, and below the “Near Colorless” range. The Forever classic moissanite gives off a very slight hint of color that can be noticeable to some people so we recommend coming into the store or asking us to send you a video before committing to a Forever Classic. The most positive factor about Forever Classic is that they have a huge selection of stone shapes and sizes, more so than the other Moissanite classifications so if you are after something more particular, Forever Classic will be your best bet if it exists. Forever Brilliant- This is the considered the middle option for moissanites and one that we love to work with at Lauren B. The Forever Brilliant Moissanite is likened to a GIA certified H color. In terms of color, the Brilliant will not have a yellow undertone like the Classic. 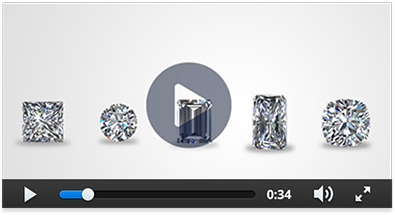 It is much whiter looking and in our opinion the most realistic looking of the Moissanite classifications. The Forever Brilliant have less size/shape options than the Classic, however stock for this kind of moissanite is steadier. Forever One- This is the highest classification of moissanite and the most expensive as well. Forever One moissanite are compared to a GIA certified Colorless diamond at D-E color and have a “super white” look to them. The Forever One moissanite is much more rare and they only produce a small amount at a time in very limited millimeter sizes and shapes. Stock for these is limited because they are a newer addition to the C&C line. 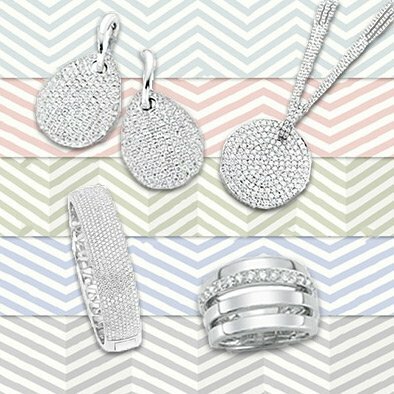 If you like diamonds that appear completely colorless this is going to be your best bet!